PENTASI B: A WORLD TREASURE FOR GLOBAL HEALING / By: Ed Cordevilla . 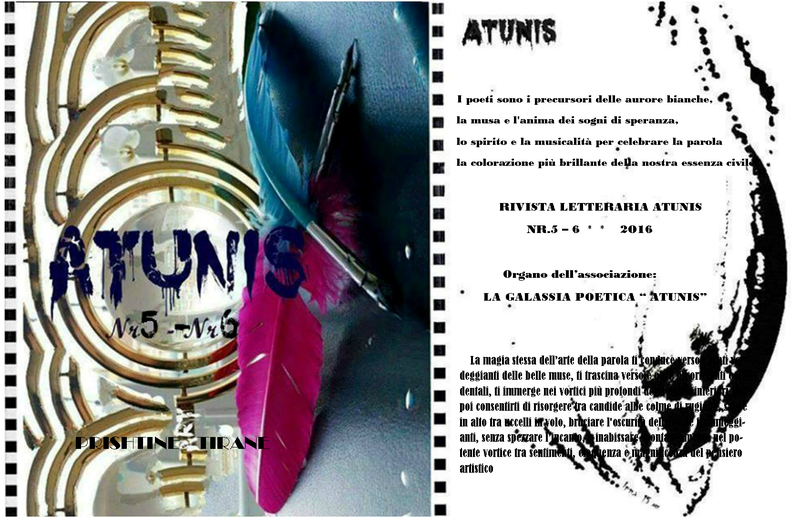 | Galaktika Poetike "ATUNIS"
PENTASI B: A WORLD TREASURE FOR GLOBAL HEALING / By: Ed Cordevilla . The ultimate purpose of poetry is to warm the heart, to stimulate genuine love towards one’s fellow human being. In this day and age of technological disruptions and unabated capitalism, poetry has to evolve to keep pace and sustain its place in the ocean of civilization. Otherwise, it may lose its significance in a fast-paced world, where populations suffer from short-attention span, as they are pampered and spoon-fed with instant gratification via various trends in fast delivery systems. It is at this historic juncture, one name has been consistently appearing in recent years on poetry’s global stage. Note that the title was given to him by more than 100 poetry organizations in India and poetry organizations from 23 different countries all over the world. Previous to this momentous event, he was awarded as the Father of Visual Poetry in British Columbia, Canada in 2012, in the presence of Vice-Consul Melanie Balisi Diano and Philippine Consul General Jose Ampeso of the Philippine Consulate in Canada; honored as Visionary Poet by Writer International Network in Vancouver, Canada in 2012; acclaimed as the Father of Philippine Visual Poetry by the Otusa Foundation in Los Angeles, California, USA in 2012, paid courtesy call to Consul General Mary Jo Bernardo Aragon of the Philippine Consulate in Los Angeles, California; dissertated, adjudged, and was re-affirmed as the Father of Visual Poetry, spearheaded by the National Library of the Philippines, at the Marble Hall of the National Museum in 2013, with Hon. Yolanda Jacinto, NLP Assistant Director, giving the opening remarks before the various national and international delegates; recognized as Gorsel Siir Babasi (Father of Visual Poetry), in Turkey in 2014, by KIBATEK, in the presence of Prof. Ahmet Nihat Berker, president of the state-of-the-art and premier Sabanci University (Prof. Berker is a Turkish scientist, theoretical chemist, physicist and emeritus professor of physics at MIT); acknowledged and revered as Il Padre Della Poesia Visuale (Father of Visual Poetry), at the University of Bari, Italy in 2016, by Pablo Neruda Cultural Association, in the presence of Rector Prof. Antonio Felice Urrichio; conferred the title Anyuinsem Agya (Father of Visual Poetry) at Dubois Center, Accra, Ghana, Africa in 2016, attested to by and in the presence of State Minister Hon. Abdul Rashid Pelpuo, Minister of Youth and Sports Hon. Nii Lantey Vanderpuye, and Highest Priest of the Ga State Numo Akwaa Mensai III; and acknowledged and recognized as Innovative and Spiritual Father of Poetry during 5TH EDITION OF THE INTERNATIONAL FESTIVAL OF CULTURAL DIPLOMACY, by the RASSEMBLEMENT MAROCAIN POUR LA POÉSI, in Morocco in November 2017. Furthermore, Doc Penpen is set to be honored with two more lifetime achievement awards, Father of Global Humanitarian Poetry and Father of Visionary Poetry, at the UNIVERSITY OF GHANA in Accra, Ghana on September 29, 2018, by the HAFRIKAN PRINCE ART WORLD — INTERNATIONAL HUMANITY CONFERENCE, founded and organized by Dr. Waheed Musah, in the presence of former Ghana President John Dramani Mahama and the current Ghana President Nana Akufo Adu. His legendary poetry work, the PENTASI B Poetry Collector’s Edition, recently found its new home at The National Library of India, on October 1, 2017, formally delivered by Doc PenPen, through the good grace and kindness of the Honorable Prime Minister Narendra Damodardas Modi. The said book, authored by Doc PenPen, was previously auctioned and bought at 10,000 U.S. Dollars per volume (total value was 30,000 U.S. Dollars for the three-volume set). The auction was held at OTUSA.TV., Los Angeles, California, United States of America, on June 22, 2012. The proceeds were donated by Doc Penpen to Operation Tulong USA Foundation, Inc., fostering the education of underprivileged Filipino students. Other copies of Pentasi B Poetry Collector’s Edition are now in The Library of the University of British Columbia, Vancouver, Canada, 2012; The National Library of the Philippines, 2013; The Savanci University in Turkey, 2015; and The University of Bari in Italy, 2016. A set of his Pentasi B Collector’s Edition will be donated to the University of Ghana Library through its Chancellor His Excellency Kofi Annan, a Nobel Peace Prize Awardee and 7th Secretary-General of the United Nations. His last two (2) remaining sets of Pentasi B Collector’s Edition are set to be auctioned off to finance and continue to propagate Pentasi B’s Global Vision and Noble Mission. What is Doc Penpen’s Pentasi B Poetry all about that causes such “earth-shaking scenes” on the global literary stage? Doc Penpen’s Pentasi B Poetry Collector’s Edition, a collection in hardbound of what is described as his “multilingual, multimodal, multi-angular, multisensorial and multidimensional” poems, was launched on May 4, 2012, at the Irving K. Barber Learning Centre (a facility of the University of British Columbia) under the aegis of World Poetry Canada and International. Meanwhile, Felipe De Leon Jr., former Chairman and Commissioner for the Arts of the National Commission for Culture and the Arts of the Philippines, Chairman of the Humanities Division of the National Research Council of the Philippines, a Professor Emeritus of Arts Studies at the University of the Philippines acknowledged Pentasi B.
Pentasi B is actually an acronym: P- stands for the Poetic and Philosophical content, E- for the Extra-ordinary and Evolution, N- for the Neo or New Genre, T- for the Technology, A- for the Arts and Aesthetics, S- for the Science, I- for the Invention and Innovation, and B- stands for the Bio or Life. Pentasi B Poetry is a revolutionary approach to writing poems, using multi-and-augmented-reality media or meta-media as the vehicle to communicate the author’s meaning and artistic joy to the world-at-large. Doc Penpen’s Pentasi B Poetry Collector’s Edition also gave birth to a non-profit international umbrella organization of currently more than 9,000 top-caliber poets from around the globe, namely; the Pentasi B World Friendship Poetry and also widely- known as Pentasi B World. Among the members of Pentasi B World are some of the founding leaders, movers and shakers of the literary world based in various countries, including Prof. Ernesto Kahan, president of Israeli Association of Writers – Spanish Branch, World Academy of Arts and Culture –USA, former Vice President of International Physicians for the Prevention of Nuclear War (1985 Nobel Peace Prize), Vice President for Literature, Culture and Peace; Nobel Peace Prize nominees Ariadne Sawyer, Kristaq F Shabani, Maria Miraglia and Muhammad Shanazar; Dr. Fco. Xavier Ramirez Sanchez, President of the Academic Society of Ibero-American Historians and President Emeritus of the Latin American Academy of Modern Literature and nominee for Andres Bello 2018 Prize; India Highest Civilian Awardee (PADMA SHRI) Vishnu Pandya; India Poet Laureate Dr. Lanka Siva Rama Prasad; Tagore Award for Poetry winner and India Poet Laureate Yayati Madan G. Gandhi; Poet Lily Swarn, Winner of Reuel International Prize for Poetry, Global Poet of Peace and Universal Love Awardee from the World Union of Poets, and Global Icon of Peace Award the World Institute of Peace, among other accomplishments; Canada Poet Laureate Emerita, Candice James and Poet Laureate, Ashok K. Bhargava, Founder of Writers International; Canada Lifetime Achievement Awardee Richard Doiron; India Lifetime Achievement Awardee for Epic Poetry Filipino poet in English Edwin Cordevilla; Lifetime Achievement Awardee for Literature Filipino poet in English Felix Fojas; Rabindranath Tagore Poetry Prize Awardees Swapna Behera, Janet Kvammen, Reshma Ramesh, Moinak Dutta, RajBabu Gandham, Malakshmi Borthakur, and Vinita Agrawal; Founder & Directors of Turkey’s most prestigious KIBATEK Literature Organization, Feyyaz Saglam and Leyla Isik; retired US Senator James Pasqual Bettio and former Ghana State Minister Abdul-Rashid H. Pelpuo; and Honorary Member Kofi Annan, the seventh United Nations Secretary-General; Ghana Presidents, His Excellency Nana Akufo-Addo and His Excellency John Dramani Mahama, King Mohammed VI of Morocco, and India Prime Minister Narendra Damodardas Modi (Pentasi B World Immortal Poet of the Masses Awardee), among others. Pentasi B World has successfully staged a series of International Poetry Festivals in British Columbia, Canada in 2012; Los Angeles, California, USA in 2012; Philippines in 2013; Turkey in 2014; Italy in 2016; Ghana, Africa in 2016; Ramoji Film City, Hyderabad, India in 2017; and Morocco also in 2017. The next Pentasi B World Poetry Festivals (PENTASI GLOBAL EVENTS) are slated in Ghana, Africa on September 29, 2018, hosted and sponsored by Hafrican Prince Art World, founded by Dr. Waheed Musah, the first recipient of Pentasian Award for Humanitarian Leadership and Excellence; in Tozeur, Tunisia on November 22-25, 2018, hosted and sponsored by Tozeur International Poetry Festival founded by Pentasi B World Featured Poet, Bouagga Adel; in China in 2019, to be sponsored and hosted by Pentasi B World Featured Poet and World Golden Voice of Poetry Awardee, Sophy Chen. It is worth noting that the highly-successful 2014 Philippine World Pentasi B Festival was attended by poets, writers and artists from Luzon, Visayas, Mindanao (in the Philippines), Canada, India and Africa, despite the raging super-typhoon Yolanda at that time. Furthermore, the overwhelming media hype Yolanda made internationally, didn’t stop other international members and delegates worldwide from giving their unwavering support to the Poetry Festival during and after Yolanda’s unbelievable onslaught that left thousands of Filipinos dead. All applying members of Pentasi B World global poetry movement undergo strict screening and due diligence. Academic titles, awards and recognition must be verifiable. Applicants are requested to submit their academic titles, institution/s that granted them title/s, awards and recognitions, name of the award and/or recognition-giving bodies. Meanwhile; on giving awards, the Peer Review Process of selecting Pentasi B World Awardees is quite unique. Based on Pentasi B’s Global Vision and Noble Mission, the Pentasi B World Prize Steering Committee receives nominations for awards from various countries several months ahead of holding the slated Pentasi B World Festival. The nominees are then officially announced and adjudged among the current entirety of more than 9,000 membership of the organization. Every poet nominated is then subjected to scrutiny of all the members for a prescribed number of months. Anyone who may be challenged by a member or group of members during this period faces the danger of removal as a nominee. 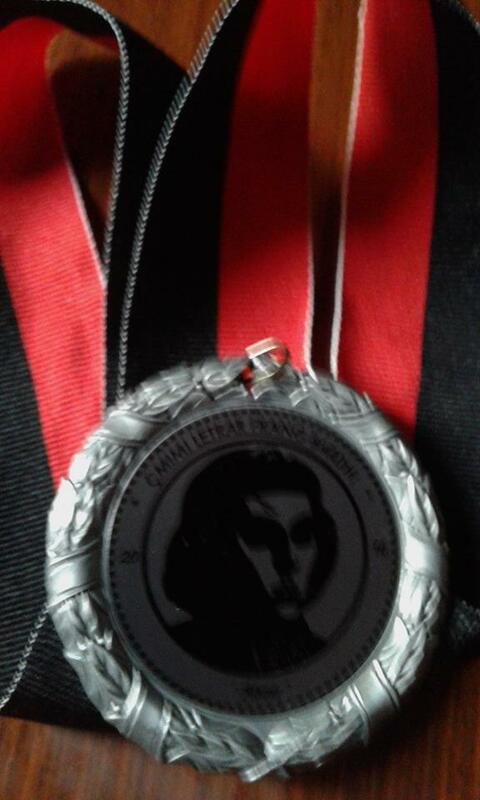 After the peer review, only those who survived and excelled in the various set standards of each of the more than 9,000 meticulously screened members of Pentasi B World, may then officially receive the award in person in the World Poetry festival host country. All the expenses incurred in the poetry festivals such as the food, accommodations, tours, programs and awards are shouldered by the Pentasi B World Poetry and Arts Foundation and the country-host poetry organization. 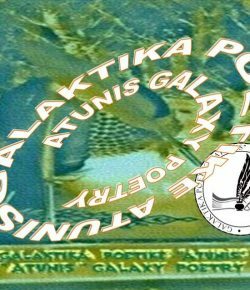 Solicitations from among Pentasi B World members and allies are strictly prohibited in the global poetry movement except in the event of anonymous donors. for the Betterment and Survival of Humanity as a Whole. Indeed; in 2017, Prime Minister Narendra Damodardas Modi personally welcomed Doc Penpen and Pentasi B World in India. A few days later, on Oct. 14, 2017, more than 120 poets belonging to different poetry organizations from all over India and 38 delegates from 23 different countries conferred on him the title, King of Visual Poetry, in a momentous and historic ceremony during the 2017 India World Poetree Festival held in Sitara Hotel, Ramoji Film City in Hyderabad. The event was covered by major local television stations and was featured in major daily newspapers in various countries. In the Philippines, the event was featured on television giant GMA-7, as well as in The Daily Tribune and The Philippine Star. Doc Penpen is actually the nom de guerre of Dr. Epitacio R. Tongohan, a respected medical doctor. He graduated as medical laboratory scientist at the historic University of Santo Tomas (UST) and later finished his medical degree at the prestigious University of the East Ramon Magsaysay Memorial Medical Center (UERMMMC). He continued his postgraduate studies and specialized in anatomic pathology at the highly-advanced University of Sto. Tomas Hospital Department of Pathology, and later practiced his profession at his hometown in Tanay, Rizal, Philippines. His father was a tenant-farmer and his mother was a “kasambahay” (househelp). They went through financial hardships. In Grade 3, while his classmates were wearing shiny shoes, his parents could only afford to buy the young Penpen “palagatos” or slippers made out of worn-out passenger jeepney tires. Reminiscing in his introductory reply in a video recorded interview at OTUSA.TV, during an awarding ceremony as Father of Philippine Visual Poetry in Los Angeles California, USA., he said: “Salamat po sa inyong imbitasyon, dahil may isang batang nangarap na dito ay makarating, na ngayon po ay naririto sa harapan ninyo, isang batang dati po ay naka-palagatos, salamat nakarating po dito ng naka-sapatos”. The young Penpen who already had a passion and dream to succeed in life even at that early age used his family’s economic situation as a challenge and studied hard. He finished as class valedictorian and received 12 medals on stage during his graduation rites from elementary education at the San Ildefonso College (ran by priests and RVM nuns) in Tanay, bringing honor and joy to his humble parents. Although he already had the artistic impulse even early on during his childhood days, it was in the 1980s when he started to write verses. It was in 2004, that the artist in Doc Penpen finally came to fore when he undertook the making of the digital documentary movie Takipsilim (Twilight). The film was first shown to the public in 2005 and received the Filipino Academy of Movie Arts and Sciences (FAMAS) Award, for being the best experimental film in 2008. Takipsilim, incidentally, was the first duly- registered digital film in the Philippines approved by the Movie and Television Review and Classification Board (MTRCB). In 2016, or 8 years later, FAMAS once again honored Doc Penpen as the Father of Visual Poetry (Father of Special Poetry). Although he had undisputedly earned the title, King of Visual Poetry, in the 2017 India World Poetry Festival, Doc Penpen’s art is really more than the visual. Like his film Takipsilim, his book of poems, as multi-sensorial, appeals to the other basic senses, including extra-sensory perception, and as multi-dimensional, stimulates higher states of the creative mind. But, what is the real achievement of Doc Penpen through his art Pentasi B Poetry and through his poetry movement Pentasi B World? Was it in being given the honor as King of Visual Poetry and Father of Visual Poetry by leading poetry organizations from various countries? Or is it the transformational power attained by his art, Pentasi B, that touches not only the known international literati but even the less-fortunate and damned members of society? Two of Doc Penpen’s earliest poems that caught Della Valle’s attention were, “The Day I Saw Myself” and “But Up”). “Wow! Don’t you know that you have such high-quality poems? Someday you will be the top poet of the world!” veteran New York poet Romeo Della Valle told Doc Penpen. His uniqueness of poetic expression sets his art at pace in the age of digital disruption while keeping basic human emotions flowing like crystal spring in the understood language and symbols of the modern time. He masterfully hurdles his critics not because of high language and high art, but with artistic sincerity, integrity and uniqueness that awe. He is able to touch his readers/audience right at the very core, no wonder he wins the approval, endorsement, respect and admiration of his peers in the poetic realm from around the world. Indeed, Filipinos are very fortunate to have a kababayan like Doc Penpen who has a unique way of touching various individuals and people around the world intellectually, emotionally and spiritually. “Doc Penpen is actually pushing the limits of the language where it will go, not only in English but also in Filipino, he is actually giving birth to conceptual or visual poetry as Pentasi B in such a way never done before,” says Dr. Lily Rose Tope, an esteemed professor at the University of the Philippines Department of English and Comparative Literature. Dr. Tope differentiates Doc Penpen from the late National Artist for Literature Jose Garcia Villa. She states, “Jose Garcia Villa left for the United States and became a minor American writer; Doc Penpen, by all indications, on the other hand, will never leave the Philippines; he simply loves the country, so much so that he even envisions and strives for it to become THE POETRY HEART OF THE WORLD,” and besides, she holds that Doc Penpen has accomplished much more than what Villa had achieved, by going textual and beyond through utilizing multi-media, multi-dimensional, augmented reality and neuro-physiological visual phenomena approaches in his poetry. Doc Penpen gravitates towards the following principles in his Pentasi B Poetry: a) multilingual which suggests languages other than the written and spoken language, as sign language, body language, Nature’s language, etc. ; b) multimodal that suggests typewritten, printed-out, sound or sonic, oil and canvas, etc. ; c) multi-angular that allows the reader or audience text reading from left to right, right to left, top to bottom, bottom to top, middle to side, side to middle, etc. ; d) multi-sensorial which makes use of the five senses and the extra-sensory perception (instinct); and e) multidimensional that explores neuro-physiological visual phenomena, the very principle in Doc Penpen’s Pentasi B Poetry that he employs to accomplish actual physical, psychological and spiritual healing, done by placing certain suggestions and commands within the “poem-play” to achieve a calculated unique/desired experience from the reader/audience. “Doc Penpen is the father of visual poetry, for he doesn’t only create, but being the father also means he nurtures and takes good care of what he has initiated – a new kind of writing poetry,” Ashok Bhargava, Canadian Poet Laureate, founder and president of the Writers International Network based in Vancouver, Canada, says. Ethel P. David has M.A. in English Literature at the University of the Philippines-Diliman and has attended two years in the UP College of Law. “No other Filipino Poet, not even our National Artists in Literature, have been so honored,” David adds. “We need to propagate this kind of Filipino innovativeness. Pentasi B is actually a Filipino invention, and it should go beyond the library world; in fact we should include Doc Penpen as one of our National Artists,” Prof. Antonio M. Santos, the late National Library of the Philippines Director and Board Member of the National Commission for Culture and the Arts, said in a video-documented interview. “Bakit walang ginawa ang (Why is there nothing done by the) National Commission on Culture and the Arts (NCCA)? This guy (Doc Penpen) should be one of our National Artists… Doc Penpen is a National Treasure!” Dir. Santos says in the same interview. The Pentasi B Poetry book is the blending of the artist and the scientist in Doc Penpen, as his innovativeness may be inferred from all his poems, from the multi-dimensional and multi-sensorial poems to his coded and less complex poems. 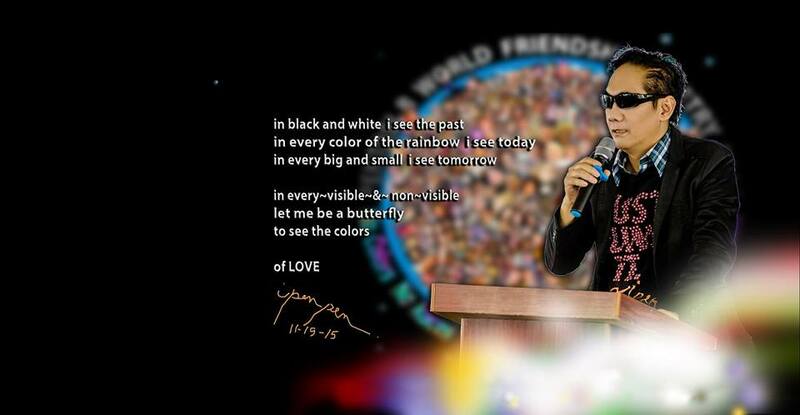 However, the greatest achievement of Doc Penpen’s art is the ever-present element of love, the very foundation of his art, Pentasi B Poetry, and Pentasi B World, the latter as his growing organization of exemplary poets, now with more than 9,000 fully screened members from around the globe, who look up to a Filipino as their father, even for some, as their King in Poetry. Doc Penpen’s Pentasi B is not just a dream but it was a vision that became reality for Philippine poetry to reach out to other and more people around the globe. It is not merely reaching out to the world through visual poetry, but to propagate Pentasi B’s deeper calling: to inspire, to heal and to awaken for the betterment and survival of humankind and its harmonious co-existence with other life forms in the universe. Doc Penpen’s art is successfully shattering the barriers brought about by differences in skin color, ideology, religion, gender, education, age, physical make, and social status. While it embraces the person in everyone, and in anyone, Pentasi B, at its very core, is a celebration of the best of the very best of humanity in each and every human being. during the recent 16th Gawad Tanglaw Awards.